Brazilian President Temer is increasing the armed forces’ role in security matters, especially in Rio de Janeiro, in what appears to be a populist measure to increase his odds in the October election should he decide to run. Although General Villas Bôas, commanding general of Brazilian Army, has cautioned about the limitations on the military’s ability to carry out civilian security operations, the Army has generally accepted the mission and used it as pretext for more funding and more legal protection from prosecution. Governments have increased the use of the Armed Forces for security in Rio on a number of occasions in the last 26 years, including during international conferences, a Papal visit, and surges in drug violence in the favelas. Preparing for the 2014 World Cup and 2016 Olympics, then-President Dilma Rousseff also favored using the military over state police for many security functions. Military units have usually operated under Decretos de Garantia de Lei e Ordem to circumvent Constitutional prohibitions on their role in civilian policing. This approach has been criticized for both its fiscal and human costs. During a 15-month period beginning in 2014, when the Armed Forces occupied Favela da Maré (a group of 16 communities in Rio), the operation used 85 percent of both the military personnel and of the $200 million budget used during Brazil’s 11 years of involvement in Haiti peacekeeping under MINUSTAH. Violations against slum residents were reported, and polls showed that most of the inhabitants of Maré did not feel safer with the Army in the streets. Congress last year approved a law initially proposed in 2003 allowing cases of civilians killed by the military in such operations to be tried in special military courts – fueling popular concern that the extra protections for troops would give them a “license to kill.” Army commander Villas Bôas had lobbied for the law. The internal security mission gives the military leverage for resources, but generals acknowledge that soldiers aren’t trained to deal with security in urban areas. Villas Bôas has said publicly that his forces “don’t like this kind of deployment”; are concerned it hurts their image; and lament that affected areas return to status quo after they depart. Villas Bôas has spoken also of “fears of the contamination” of troops by organized crime. Temer’s moves go beyond his predecessors’ in that federal authority, rather than supplementing local officials, is subordinating them for the first time under the 1988 Constitution. The interventor assumes the governor’s authority for the entire state’s security, with power to command both civilian and military units. Temer has also announced the creation of a new Ministry of Public Security focused only on security – an issue normally under the states’ exclusive purview. While the ministry would provide more federal funds and coordination to anticrime initiatives, specialists note that the move also would give the President increased influence over the anti-corruption investigations that have rattled his Administration (among many others). The Brazilian Federal Police, now under the Ministry of Justice and widely speculated to move to the newly created Ministry, is a key player in the years-long Lava Jato Temer’s announcement has prompted fear – including among Lava Jato investigators, according to press – that changes in the chain of command could undermine efforts against corruption under the guise of focusing the resources in public security. Temer’s actions suggest greater concern about polls than improved security. With national elections just seven months away, he has single-digit approval ratings and has been unable to push through signature initiatives, such as pension reform. Of the three top concerns in the polls – health care, corruption, and security – he has chosen the latter as the centerpiece of his agenda for the election, even though he has said he will not run. Temer may find confirmation of his strategy in a drop in the crime rate during Carnival this month, but the use of the Armed Forces against drug-trafficking, organized crime, gangs, and other security challenges has proved dubious at best in Colombia, Mexico, and elsewhere. In Rio de Janeiro, mafias made up of former Army, civilian police, and firemen dominate the drug trade and even services like gas, light and cable TV. The increased use of the military also has potentially profound consequences for human rights, military professionalization, the development of civilian institutions, and the broader embrace of rule of law. Increased federal intervention in Rio and elsewhere responds to short-term political interests with long-term outcomes that will only make things worse. Haiti’s new president, Jovenel Moïse, has helped the country overcome the long political crisis that preceded his election, but he faces losing two long-running forms of support from the international community. MINUSTAH, the UN peacekeeping operation that has been in place for 13 years – successor to similar missions since 1994 – will depart this autumn, necessitating an expansion in Haiti’s domestic police force. The U.S. Temporary Protected Status (TPS) program, providing temporary legal residency to some 58,000 Haitians in the United States since the 2010 earthquake, appears likely to end in January 2018. MINUSTAH has long been the backbone of Haitian internal security, for which Haiti’s own forces lack competence and credibility. 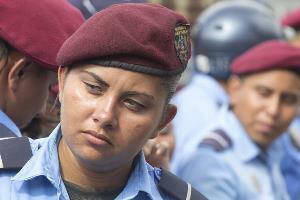 The UN’s demobilization began in May, when units from Chile, Uruguay, and Peru returned home. Brazilian units remain in the country to oversee the return of equipment and disassembly of base facilities. Operations will officially cease on October 15. MINUSTAH is one of the United Nation’s longest running peacekeeping missions, and its loss will have a significant impact even though its operations have been plagued by tragic (and criminal) missteps. It was responsible for bringing cholera to Haiti; the epidemic has since killed more than 10,000 people. In addition, an Associated Press investigation revealed nearly 2,000 accounts of sexual abuse and exploitation by UN peacekeepers, including about 300 perpetrated against minors. While the UN has a “zero tolerance” policy against sexual exploitation, it does not have the power to prosecute perpetrators – and holding troops accountable is the responsibility of their home governments. Sri Lanka has declined to investigate more than 100 of its soldiers, who were sent home in 2007 after sexual abuse allegations. The Haitian government requested an 18-month extension to the TPS program, but U.S. Secretary of Homeland Security John F. Kelly opted to extend by just six months. While Kelly said the program will be reevaluated before the current extension expires, his statement has effectively signaled the end of the program, noting that the short extension “should allow Haitian TPS recipients … time to attain travel documents and make other necessary arrangements for their ultimate departure from the United States” and give the Haitian government time to prepare for their repatriation. The Haitian government has argued that it is ill equipped to manage an influx of returnees, and that the remittances provided by those in the TPS program are vital to Haiti’s continued recovery. More than seven years after the deadly earthquake, Haiti’s recovery remains elusive, and the departure of MINUSTAH and potential end of the TPS program portend a rocky road ahead for a new government that is just barely getting some traction. The end of both forms of support for Haiti represent donor fatigue – not Haitian achievement of benchmarks of progress. Port-au-Prince couldn’t reasonably expect the UN to continue providing it security support for another 20 years, but Moïse is about to bear the brunt of series of predecessors who failed to prepare the nation for the UN’s departure. The support Haiti has received from the international community has always fallen short of promises; nearly $10 billion in pledges for post-earthquake assistance never materialized. But donors also point out that Haiti has often failed to uphold its end of the bargain; the protracted election crisis caused many to withdraw budgetary support. While both the UN peacekeeping mission and U.S. immigration policy have been at times poorly executed, their absence will be a major blow, if nothing else because changes on both fronts are proof that Haiti is no longer anyone’s priority. Moïse’s administration has much to tackle – bolstering the national police force and preparing for the arrival of potentially tens of thousands of TPS returnees without adequate resources for either task – while he addresses 14 percent inflation and a bloated civil service. Looking for homegrown solutions would be a huge challenge for any country, especially one struggling with as many fundamentals as Haiti. * Emma Fawcett is an Adjunct Professorial Lecturer at American University and a monitoring and evaluation specialist with an international NGO. Her doctoral thesis focused on the political economy of tourism and development in four Caribbean countries: Haiti, Dominican Republic, Cuba, and the Mexican Caribbean. Prison overcrowding is a widespread problem in Latin America, primarily because of harsh drug-sentencing laws and inadequate budgets, but Costa Rica may be setting a useful example for dealing with it. In most countries, guards control the perimeter, but groups of prisoners or criminal gangs organize and control life inside the prison compound. Rehabilitation and re-integration programs are limited. Not surprisingly, there is little political leadership for prison reform; the issue wins few points with the general public. Even dramatic events – like prison riots in Venezuela or prison fires in which hundreds of young men die as in Honduras – don’t generate interest in prison reform. A key component of the criminal justice system – as a deterrent, a punishment, and as a provider of rehabilitation and reintegration services that will reduce recidivism – the prisons are often neglected. 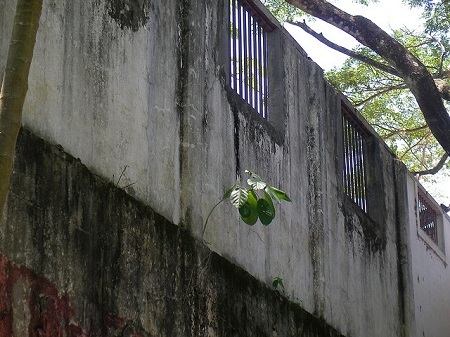 While Costa Rica faces growing drug-related problems, a multi-country analysis by the Washington Office on Latin America of persistent criminal justice and prison problems in Latin America – aimed at identifying strategic solutions – indicates that the country stands out as having undertaken at least modest reforms of its prisons to prevent them from becoming the breeding grounds for increasingly hardened criminals and gangs. Prison conditions in Costa Rica have not been among the worst in Latin America, although the U.S. State Department said in its Human Rights Report for 2013 report that they were “harsh” and that “overcrowding, inadequate sanitation, difficulties obtaining medical care, and violence among prisoners remained serious problems.” Until very recently, when new drug sentencing laws and tough anti-crime measures pushed the prison population up, the system generally did not exceed capacity. Even today, the system is at 140 percent of capacity – far less than the 200-300 percent seen in other countries. Prison conditions also seem less abusive than those seen in other countries. An external oversight body was created to protect the rights of prisoners. Moreover, the government, with support from the Inter-American Development Bank (IDB), is reaching out to local businesses to support vocational training programs for inmates. This process has been driven by reformers inside the government and prison system, in contrast to most reforms elsewhere in the hemisphere driven by international donors. This is a rare example of how reformers inside and outside the system worked to achieve institutional changes that increase citizen security while respecting human rights. In this case, long-standing mid-level and senior staff of the penitentiary system, with the support of successive Ministers of Justice appointed by President Laura Chinchilla, played a key role in resisting pressures from legislators who want to toughen sentencing, which would increase prison populations. They have advocated measures to ease overcrowding and ensure proportionality in sentencing. At the same time, they have also used the IDB loan to both defend and expand the rehabilitation and re-insertion programs in the prison system. Every country’s situation is unique, and Costa Rica has advantages — a relatively low crime rate, a relatively strong state structure, a relatively well-established respect for the rule of law – that others lack, but San José has shown that reform in this difficult, politically sensitive area is possible. *Geoff Thale and Adriana Beltran, of the Washington Office on Latin America (WOLA), recently led a small delegation to visit Costa Rican prisons. Nicaragua – often accused of keeping bad company on political and economic matters – finds itself in a special group of countries that are doing quite well combatting crime. Along with Chile, Costa Rica, and Uruguay, it has one of the lowest crime and violence rates in Latin America. At a discussion* at the Wilson Center in Washington this week (click here for video), experts identified factors explaining why these countries stand out, including the democratic traditions, relatively strong institutional frameworks, and economic stability in Chile, Costa Rica, and Uruguay. Nicaragua, on the other hand, has witnessed dictatorships, coups, chronically weak institutions, and the sort of grinding poverty that fuels chronic security challenges. Gross generalizations are risky, but analysts probed why Nicaraguans generally trust their police force and commit fewer violent crimes. Among the key factors is that Nicaragua, like the other three top performers, separated the police from the armed forces and increased civilian control over it. Unlike in the rest of Central America, where revolutionary movements did not triumph, the Sandinistas abolished the hated National Guard in 1979 and created a force under the Interior Ministry. Over the course of the Esquipulas peace accords, the elections in 1990, and the passage of a Ley Orgánica de la Policía Nacional in 1996, civilian oversight was institutionalized and respect for human rights and judicial process grew. 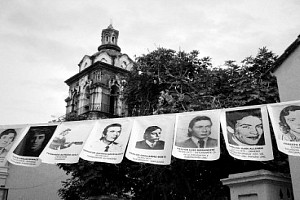 The Sandinistas’ promotion of mechanisms for community vigilance – a negative when used to root out suspected “counterrevolutionaries” in the 1980s – later helped communities develop cohesive approaches to citizen security and contributed to respect of institutions. Another factor is that, like the other three countries under discussion, Nicaragua has a relatively low gun ownership rate. Chile, Uruguay, Costa Rica and Nicaragua have another thing in common: none has resorted to the sort of militarized strategies toward transnational or homegrown crime that Colombia, Mexico and the United States have espoused. The Nicaraguan National Police have generally maintained closer ties with their Scandinavian counterparts, who emphasize addressing the root causes of crime and violence – a philosophy that Nicaraguans of most political stripes embrace more readily than the emphasis on military-style operations. The steadily worsening situation in Honduras, where Washington has pursued collaboration with the military, has convinced many in Central America that the militarized approach doesn’t work. The mix of limited training and operational cooperation that the United States provides Costa Rica would probably work well in Nicaragua, but Washington – prodded by legislators who still see Nicaragua through a 1980s optic and condition cooperation on electoral performance – appears cool to fashioning a flexible package of joint initiatives. Rather than applying the Colombian-Mexican security model to Central America, perhaps the successful elements of the Nicaraguan model can be expanded in the troubled region. *CLALS Research Fellow and InSight Crime Senior Fellow Javier Meléndez delivered the lead presentation on Nicaragua. Regional reaction to the visit and summit has been positive – Obama’s interest is clearly welcome – but leaders are already managing expectations. 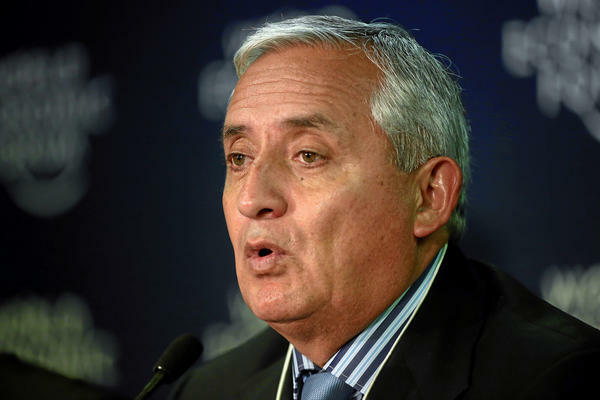 Costa Rican Foreign Minister Castillo last weekend cautioned that the United States is not able to provide significant new assistance for either economic or security programs. Commentators note that the visit has not been preceded by the sort of diplomatic activity that would indicate the rollout of significant new policies or programs. At a summit in Guatemala with Vice President Biden one year ago, Costa Rican President Chinchilla crystalized regional criticism of the U.S. counternarcotics strategy when she said that Central America “is sacrificing the lives, making its enormous sacrifice” and, in a clear reference to Washington, called on the “international community [to] take greater co-responsibility in this struggle.” Hosting the SICA summit with Obama suggests she is prepared to put such criticism aside, perhaps in hopes that talks focus on the economic and immigration issues. The White House spokesman’s reference to immigrants – at a time that Obama is pushing ahead with related legislation – may indicate that immigration will be a primary concern for him also. The last time Obama went to Latin America, for the Summit of the Americas in Cartagena in April 2012, he seemed ill-prepared for criticism of U.S. policies, including its counternarcotics strategy, even from Washington’s closest friends. With perhaps the exception of Nicaraguan President Ortega, the participants in this Central American get-together seem less likely to deliver a similar grilling, making what diplomats call a “successful meeting” very likely.